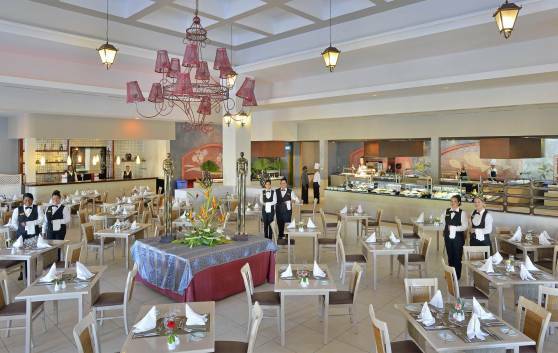 A combination of delicious exotic flavors and aromas served in an warm and friendly atmosphere! 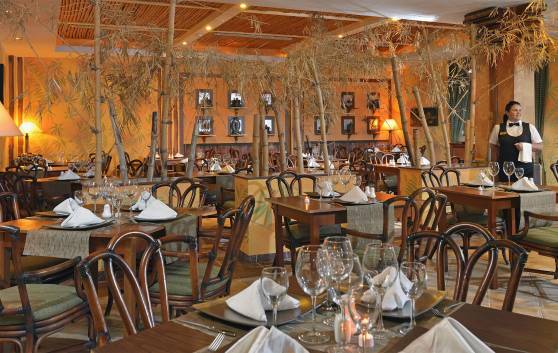 The best Mediterranean food can be sampled in this cozy restaurant, the perfect place for an unforgettable mouth-watering dinner. 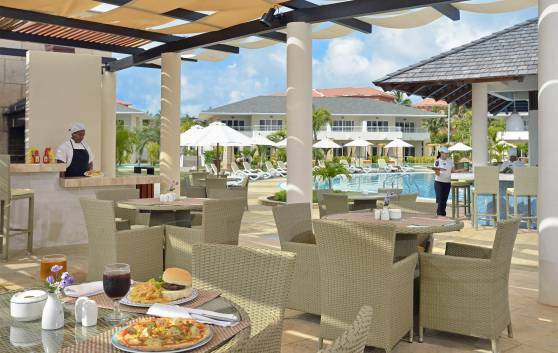 Conveniently situated, overlooking the resort's main swimming pool, this restaurant is a spacious, air-conditioned venue with outdoor terraces serving breakfast, lunch and dinner. 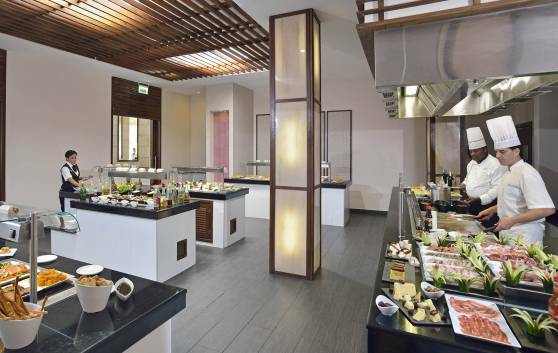 As well as the buffet service, guests can enjoy show cooking and themed nights, in addition to live music in the evenings, performed by small bands. 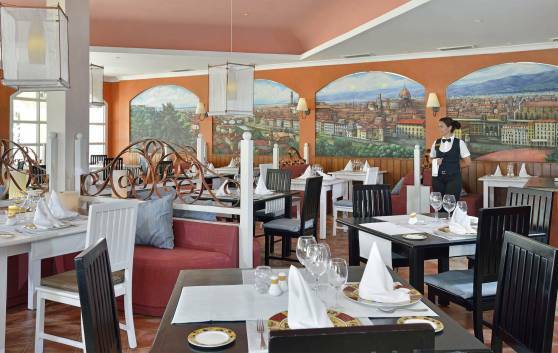 This charming restaurant specializes in International food and will meet the expectations of even the most discerning palate. 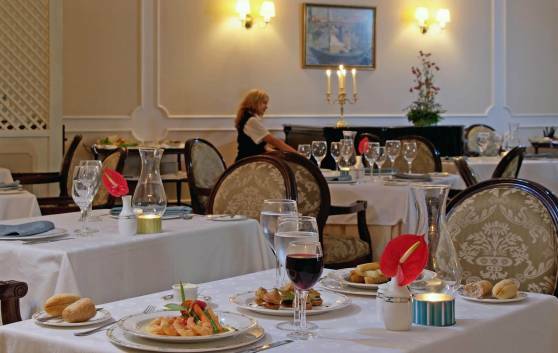 Exquisite delicacies served in an atmosphere of refinement and elegance! 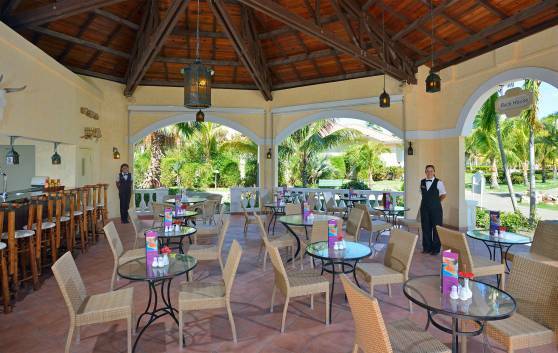 A wonderful option for enjoying meat grills and delicious salads at lunchtime. 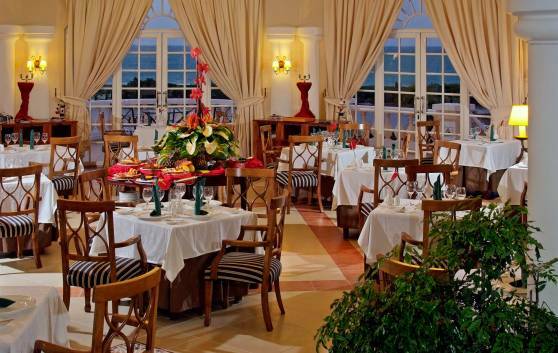 At dinnertime it becomes a specialist restaurant, serving the finest Cuban cuisine. 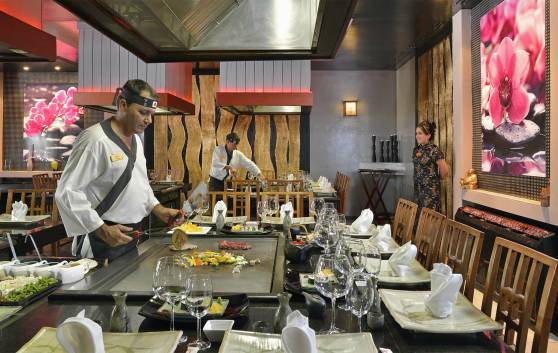 Tepanyaki-style Japanese cuisine served in an exotic oriental environment. 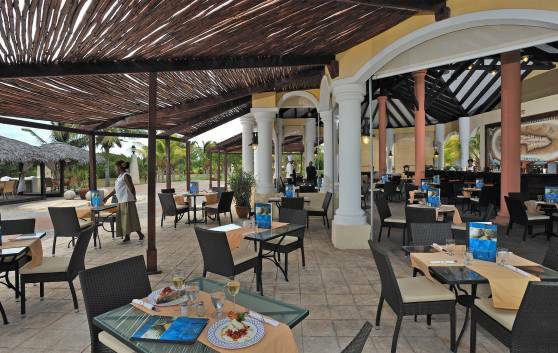 Located in the central part of the beach, which can be accessed directly from the Port Royal restaurant. 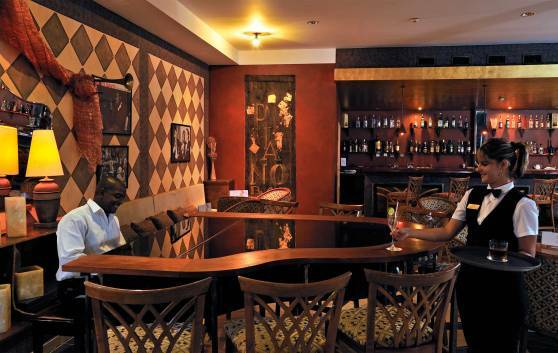 A pleasant spot to engage in conversation with friends as you enjoy your favorite beverage and the excellent service of the staff. 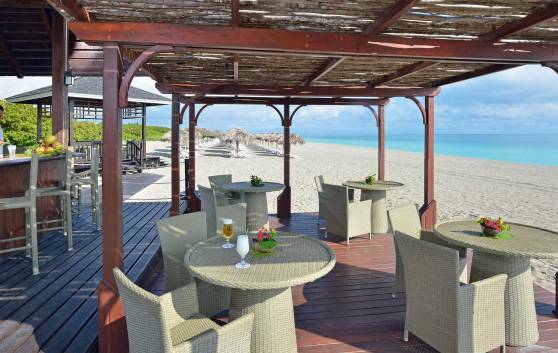 Connoisseurs of the good things in life will be able to combine both their favorite brand of Cuban Habanos with their favorite drink at the elegant cigar bar, served in a marvelous marine setting. 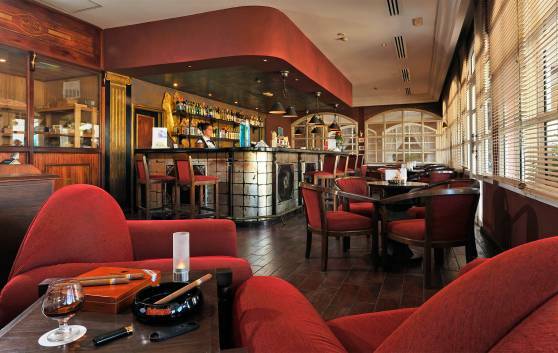 Live piano music will make your evening more pleasurable in this cozy atmosphere which favors conversation and spiritual gratification. Tropical juices, infusions and cocktails are all available from this lively snack bar, full of flavour and colour. 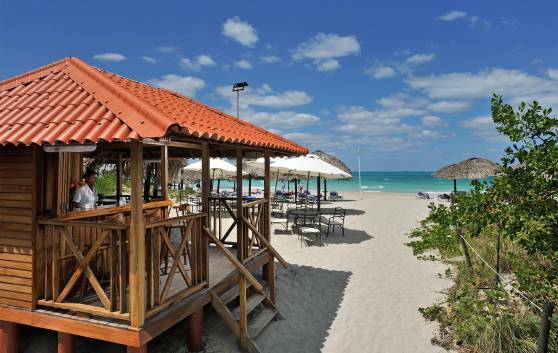 The atmosphere is welcoming and the service excellent. 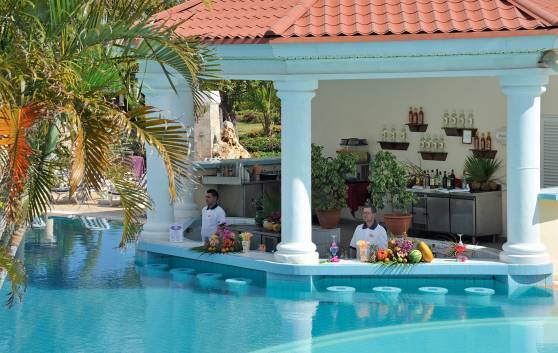 This snack bar is a delight for the palate and the eyes, in an idyllic setting. 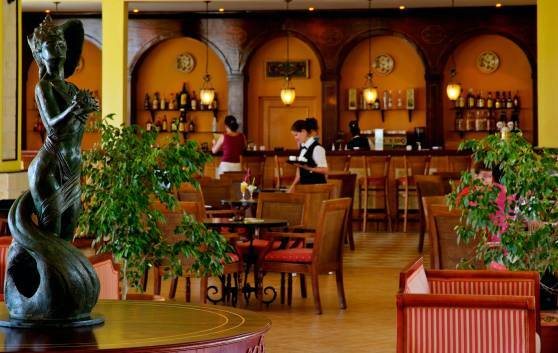 We serve pizzas and amazing Italian-style snacks. 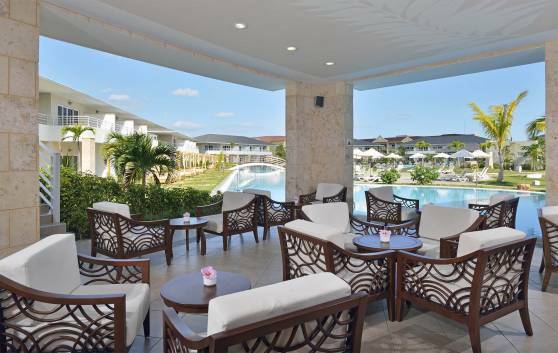 The ideal spot for a friendly conversation close to the beach and surrounded by lush vegetation. 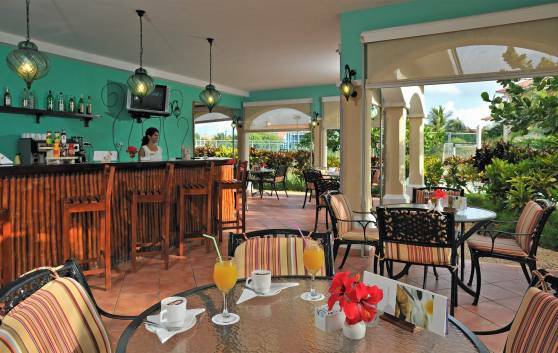 Guests can choose from a wide array of tropical cocktails and other drinks, all in perfect harmony with nature.